I’m always impressed and surprised by how thoroughly new cultural habits can develop and take hold, how quickly we can forget that life was ever any different. Examples abound in terms of technology (iPod, anyone? ), but I’m talking more about food habits. When I was a kid, the fast food lifestyle was just starting – but going to a fast food place was a novelty. Meals were eaten at home, at school, and very occasionally, in a restaurant – fast food was a birthday treat, an oddity. In some areas of the world, habits and customs that seem like they are deeply rooted in time are actually not all that old. Maize cultivation in Africa, for example, has been around for centuries – but it’s only really celebrated a triumphal victory over other crops in the past 60 years. It has high crop yields, people like it, it’s not bad as a vegetable or a grain. 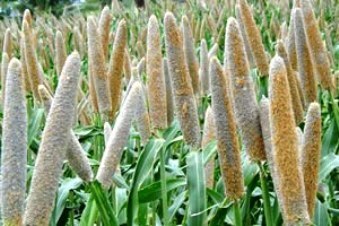 That would be fine if maize had some of the qualities that have always marked more ancient small grain varieties like sorghum and millet – drought resistance. And the ability to grow in arid conditions is becoming ever more important. “But over the decades, more and more farmers—especially in southern Africa—have abandoned it and switched to maize. There are several reasons for this. For one thing, international research efforts have made maize more productive than pearl millet; for another, government incentives have given maize an added financial advantage; and for a third, easier processing has made maize more convenient to use. The momentum for change has now gone so far that maize is often pushed into pearl millet areas to which it is poorly suited and where it cannot perform reliably. 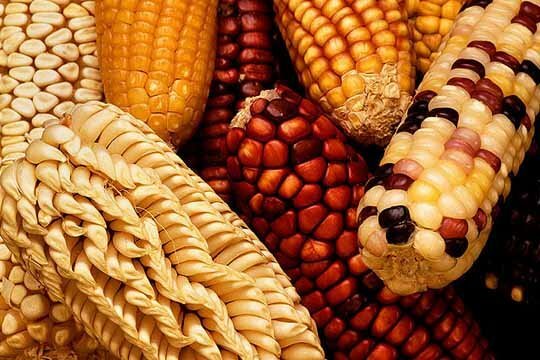 And now, calls have grown even louder for grains like millet, and vegetable crops that don’t require as much water as maize, to replace what is now the ‘traditional’ crop of maize – biodiversity as a strategy to face increasing aridity. As with fast food, the displacement of older habits hasn’t necessarily shaped up as healthy and sustainable. Sometimes, progress means turning an eye to what came before.